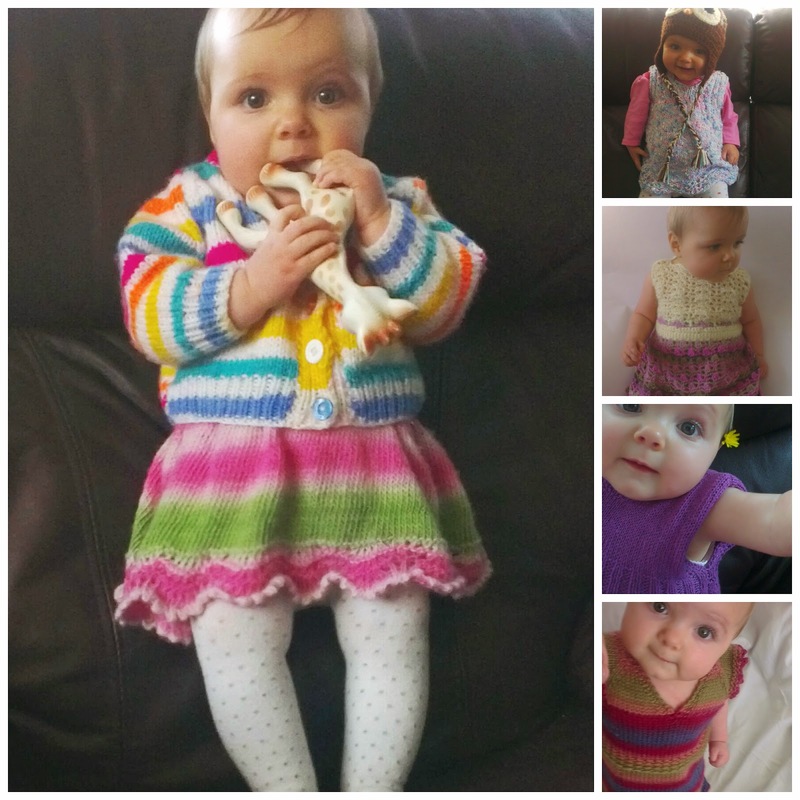 In our household we wear a lot of hand knit & hand crocheted outfits. As you can imagine, kids gets them really dirty, they always end up covered in food & dirt then they get tossed into a bucket until there is enough to wash! When I want to wash them, I fill the bucket up with luke warm water & wool wash (mixed according to the instructions on the wool wash). I then add the garments making sure that they are covered with the water and leave to soak but I go back & check on them after approx. 10mins to make sure that no colours are leaching into the water (turning it into a dye bath!). I leave them to soak for 24-48hrs - it really loosens the dirt & food off the wool. I then tip the bucket into the bath (over the drain hole) and let the water drain out then scoop them back into the bucket and pop into the washing machine. My machine is a front loader & has a cycle for 'delicates' so I turn it on & just use regular detergent. I let it spin dry in the washer then hang them onto the clothes airer (see below images). BUT, if I were washing garments that used handspun wool, I would NEVER EVER put them in the washing machine. I would leave them to soak in the bucket and after they have soaked for a day, I would change the water & pop them back into the water then gently swish & squeeze the garments with my hand (very gently). When clean, I would then drain them & squeeze as much water out with my hands then I would lay them flat onto a clean bathtowel then roll the towel up - this squeezes the water out. I would also NEVER EVER hang handspun garments up to dry like I would with the ones in the piccies above, I would lay them as flat as possible so they didn't stretch. I hope you found this useful, I realised about a month ago when talking to someone that I knitted a beanie for that they had no idea on how to wash handknits - I just assumed every one did as I learnt at a young age from having a mother who handknitted (& handspun) most of our jumpers! A pat on the back is needed please.